How Far is Nikrith Enclave? 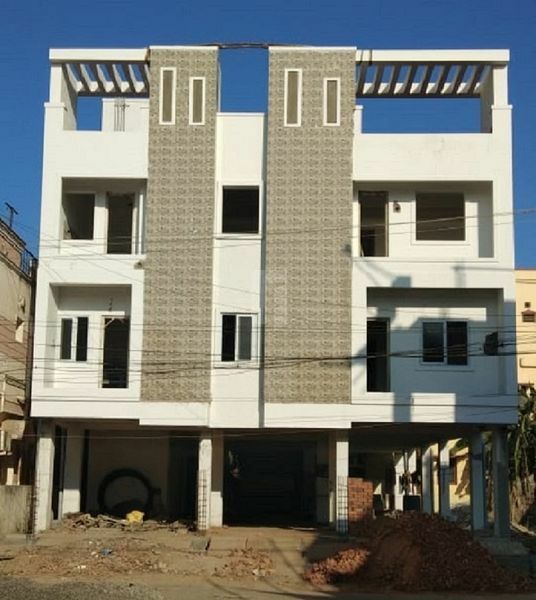 Nikrith Enclave is a residential apartment in Chennai. WALL - Brick External Wall and 4.5 inch Internal Walls. PLASTERING FINISH - Cement Plastering in ceiling and inner walls with wall Putty finIsh.Outer wall with neat finish. FLOORING - 2x2 Vitrified Tiles with C skirting. KITCHEN -Black Granite cooking platform, Ceramic tile upto 4'0' about platform,Stainless steel sink / granite sink Exhaust fan point and Aquaguard Provision will be provided. 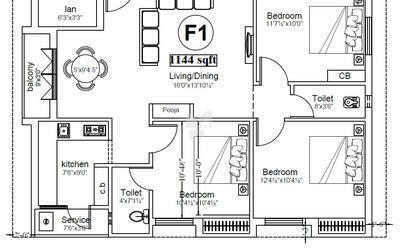 TOILET - White Indian / European Closets of Parryware or equivalent with PVC flush tank & CP Fitting Waterman brand, Anti-skid flooring tiles and glazed wall tiles upto Heater provision will be provided both bath rooms. DOORS - Main Door - Teakwood frame & panel with Varnish. Other Doors- TeakWood Frames With Flush Doors and enamel paint. WINDOWS - Teakwood frame and shutters with glass & grill. ELECTRICAL WORKS - Three phase power supply. MCB type distribution board,consealed wiring, GM switches. separate line for inverter. AC point for all bed Room with 15 Amps metal clad plug and socket. Sufficient and adequate electrical point will be provided for all bed rooms,kitchen, balcony. provision for 3 phase E.B for each flat and common single phase for apartments. SANITARY WORK - Consealed PVC lines for ordinary water lines and consealed CPVC lines for hot water lines. Common water line from Bore well, water tank for all flats. PVC line for waste water line and sewage line. PAINTING - Inner : Emulsion Paint two coat till good finish. Outer: Weather proof paint or equivalent.